Notes: 1 Difference between visits for obesity and visits for all other diagnoses is statistically significant (p < 0.05). A visit for obesity is a visit in which obesity is listed by the provider as one of up to three diagnoses for the visit. 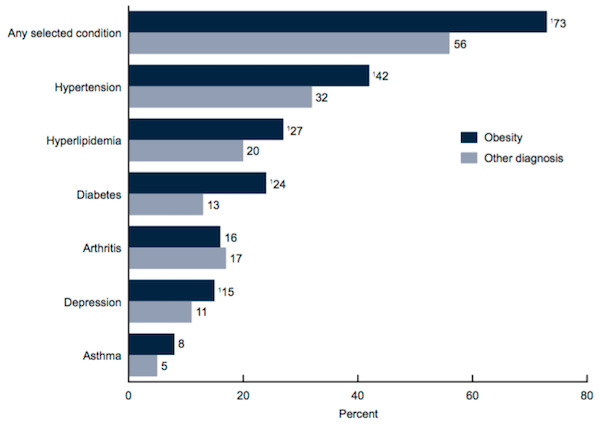 Data Source: CDC/NCHS, National Ambulatory Medical Care Survey, 2012. This entry was posted in Medicine and Society Data Watch on March 9, 2016 by Genevra Pittman.